Can rethinking sales methods and bucking conventions increase your close rate? Check out these counterintuitive tips for winning a deal. In one classic episode of Seinfeld, George Costanza adopts a new strategy in efforts to turn around his perpetual losing streak in life: whatever his initial instinct in any given situation, he starts doing the exact opposite. The plan amusingly works out for him when he meets a woman at the diner and introduces himself by saying, “My name is George, I’m unemployed, and I live with my parents,” then lands a date. It is an exaggerated scenario, of course, but speaks to a reality many of us have encountered in life. Sometimes going against the grain, and bucking conventional wisdom, can be the right move. This notion is at the heart of a recent post from Ken Kupchik on the Spiro blog, 9 Counterintuitive Sales Methods You Should Try Today. In his piece, Kupchik encourages us to think outside the box and try out some sales tactics that may seem illogical on the surface. You can click the link above to read his entire list, but here we thought we’d call out a few noteworthy items and offer our own thoughts. The more irons in the fire, the better -- right? This has long been the modus operandi for sales pros, but it’s not necessarily true, especially as the marketplace evolves and competition grows. Many reps spread themselves too thin, chasing a multitude of targets while failing to give any the attention necessary to forge a real connection. Most often, you are better off taking the time to refine your scope and better qualify those opportunities before pursuing. Then, gather information on each so you can head into those conversations with strong knowledge of them and their businesses. By burying potential leads that were destined to go nowhere, and putting more energy into prospect research, you’ll save yourself a great deal of rejection. Bringing up money too early in a sales conversation is a notorious taboo, and goes against the way most reps are trained. The idea is to facilitate meaningful interest before digging into budget talk, right? Not so much. Today, buyers are completing more research on their own, and so there often isn’t as much need to go over the details and specs of what you’re selling. With time at a premium, many will appreciate a rep who cuts straight to dollars and cents. Kupchik suggests broaching the topic with an open-ended question, like “Do you have a budget in mind?” Another idea is to lead with ROI rather than price, so you can establish value in a clear manner that resonates. This is huge. Losing a deal can be frustrating, but don’t let that sour you on maintaining an ongoing rapport with the prospect. It won’t consume too much of your bandwidth to check in occasionally with a comment on their post or an InMail, and the long-term benefits are well worth it. You may end up scoring business with that same organization down the line, or the contact could serve as a your “in” for another account. In the modern sales world, relationships are everything. Build them and nurture them wherever you can. Much like talking about budget too early, discussing your competition with a prospect is traditionally frowned upon as a sales practice. But with so much autonomous research happening on the buyer side, they are probably aware of what else is out there. Instead of dancing around the subject, you could confront it head-on to draw out some immediate distinctions. Try to do this in a way that is tactful, not tacky. Don’t trash your competitors, or make overt comparisons. Finding ways to subtly call out a weakness in another leading solution, or a strength in your offering that won’t be found elsewhere, can help reduce the decision paralysis driven by buyer’s remorse. I’m sorry, we can’t get behind this one. The logic presented by Kupchik makes sense -- you can potentially cut out the jittery highs and lethargic lows of heavy caffeine consumption by weaning off -- but just… no. Actually, I’m going to go pour a mug right now. For more sales methods and tips that can help your hone your craft, download the LinkedIn Selling Tactical Plan. 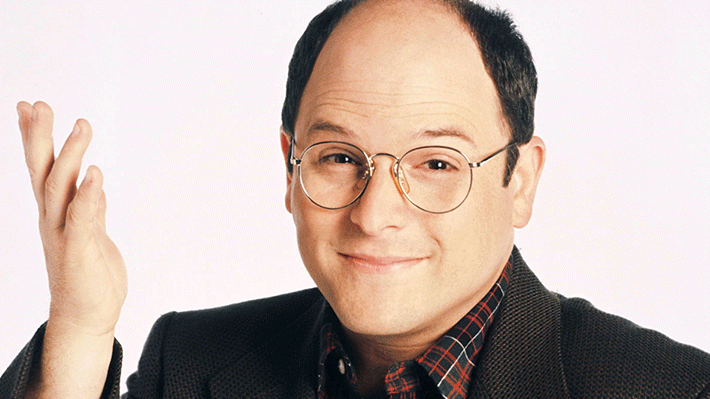 Don’t worry, we won’t often recommend George Costanza as an example to follow.